I realize the butter melts and combines with the dry mixes to make the gravy but I’m still a little concerned that you don’t add any liquid at all to get started. Assuming the beef juices and the butter are enough moisture. The meat was delicious. I did not sear the meat and it turned out fine for us. I did add a little corn starch to the juice and made gravy. I like salt, but the gravy was very salty, and I did not add any salt to the recipe except for the butter. Next time I will use unsalted butter. i agree… way to salty. There’s a big difference if you brown or don’t brown. Browning seals in the moisture of the meat. I’ve tried crockpot once without browning and then with it. IT’S WORTH THE 10 MINUTES TO BROWN IT–much better when you DO brown it! Does the meat have a hot taste with all those peppers because I do not like hot dishes? What is the purpose of the peppers? I’ve seen this recipe numerous times and everyone raves about it. I am trying this today. The pepperoncinis that we had on hand were rings so hoping that will work out. Not sure if shredding will happen as slicing is preferred in my mind. Going to make it again. The recipe only calls for adding pepper to the roast, not salt. Between the au jus and the ranch dressing mix that would be way too much salt. I add a little of the pepperoncini juice. Does the peppers make this spicy or hot? I can’t handle that for health reasons. I like spicy, this isn’t spicy, it just adds flavor. I’m making this recipe for the first time! Is it okay if I don’t have any peppers? Also, can you cook it on high to get done quicker or will it more tender if cooked on low? 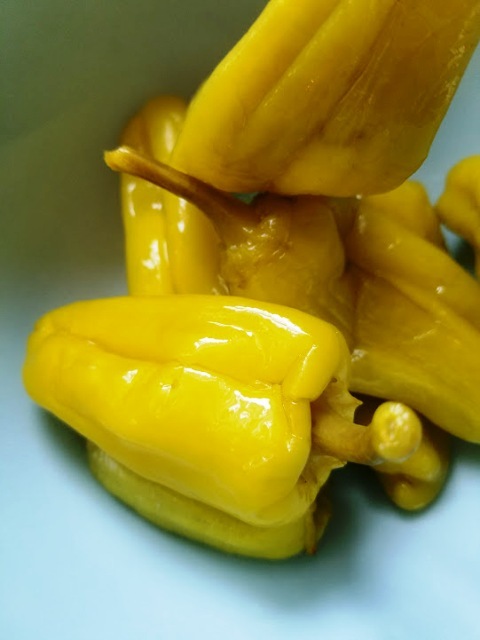 It tastes great with the peppers, but still delicious if you can’t find them in your market. 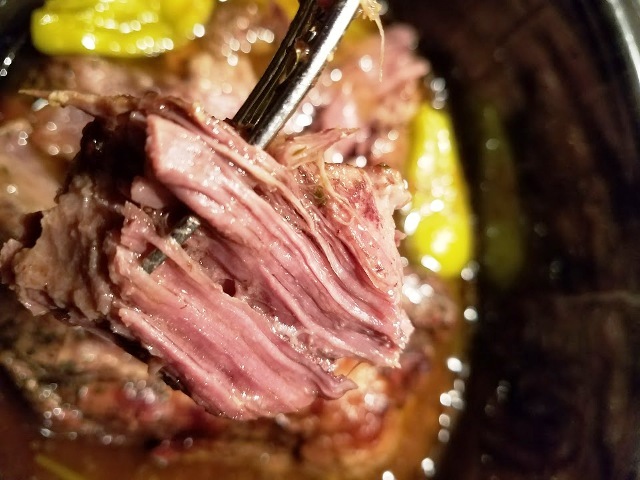 I have only cooked this roast on low, but if you are short on time, you can try cooking it on high, just test to make sure that the beef shreds and is tender when the time is up, otherwise, set it on low and let it cook for some time longer. 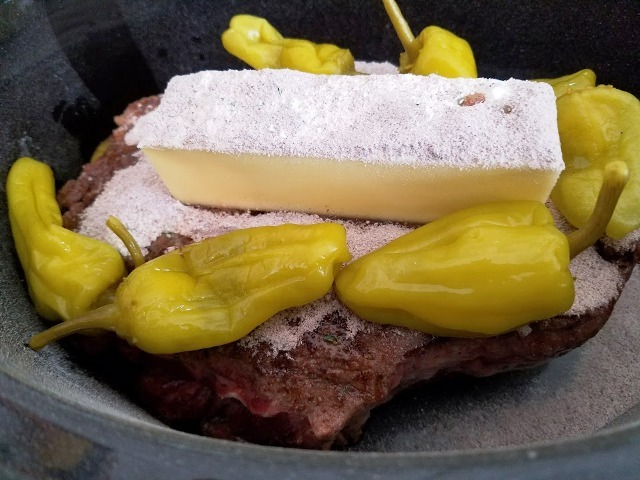 I don’t want all that butter in mine–any suggestions as to WHY it’s in the recipe? Is it for “liquid” or “flavor”?? Anyone replace the butter with something else and if so, what did you use??? 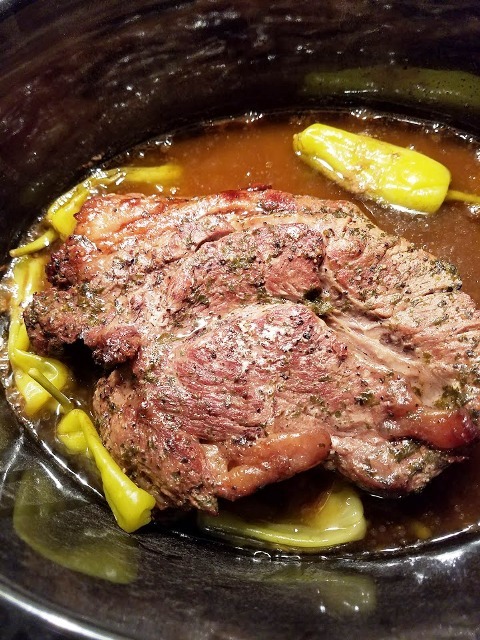 It’s for flavor and liquid, you could always use half the amount of butter, I have made this pot roast before like that and was still very delicious. I don’t like the taste of peperoncinis. Do you taste them? What could I substitute? I don’t like pepperoncini’s either… I’m going toss in half of a large Vandalia onion instead. You can’t taste the Ranch dressing at all. I would love to try this, but am allergic to the peppercinis. Will regular bell pepers work?? It won’t be as zesty, you can add peppers and maybe add poblano peppers or cayenne. I made this last night for dinner and my son said “this is the best roast you’ve ever made”. He couldn’t stop eating it. Thank you so much! Yes, just cut the time in half. 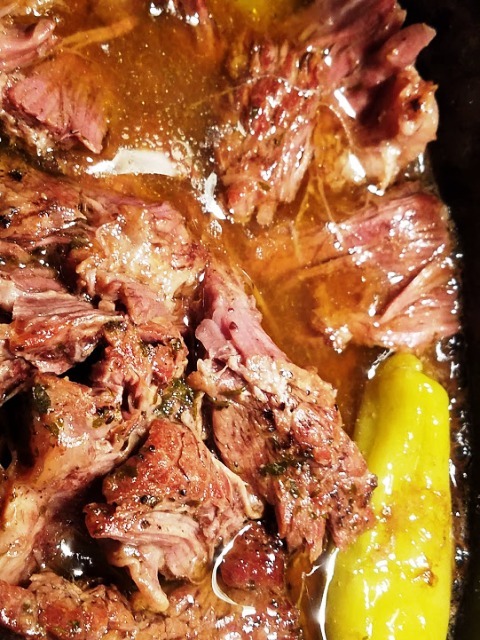 This is the best pot roast ever! We’ve had it twice in 2 weeks. Thank you! Im sorry but the gravy was way too salty! Could not eat it. Had to do some major tweaking. Added 2 cups of water some kitchen bouquet a couple of raw potatoes to get the salt out and some sugar. Also had to thicken the gravy with cornstarch. I absolutely LOATHE the flavor of peppers of any kind. Would onions be an acceptable substitute for the peppers? This recipe looks wonderful otherwise. I am concerned about all of the MSG in both packets. MSG makes my tongue hurt and causes migraines. The roast looks very flavorful, but salty. Eellitta, I am also concerned about MSG, salt, etc., but this roast is so good that I searched until I found a work-around. If you will Google “DIY au jus mix” and ” “dry ranch dressing mix,” you can use low-sodium beef bullion granules and leave out the salt in the dressing mix. Neither of them calls for MSG. ENJOY! This was a hit! I forgot to add salt and pepper, and only had half a stick of butter. Also forgot to start it early enough, so had to do 4 hours on high. Came out great! Is a keeper! Thank you for the recipe. I even go to a little extra trouble and roll the piece of meat in flour before searing. 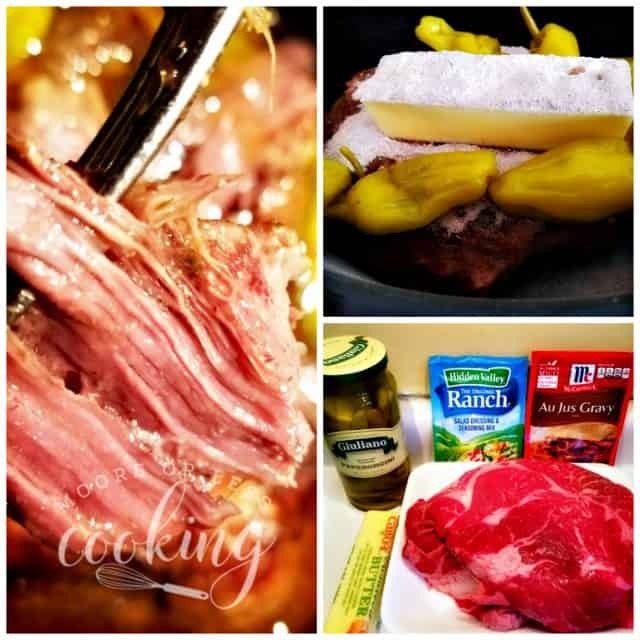 What is your opinion of using this recipe with a London Broil instead of chuck roast? 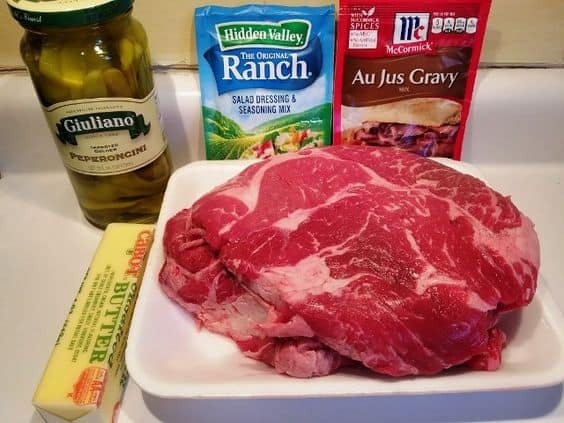 I know the chuck has more fat and that adds to the flavor…..just was wondering if I could use a leaner cut of meat? If you try the low and slow on lean cuts of meat, they’ll mostly turn out dry and stringy. I just put this in the crockpot for dinner….will have rolls on hand in case the guys want sandwiches and also a side of mashed potatoes. Looks and sound awesome, love the comments! Thank you. This was just amazing! I did add a little water and in the end, some cold water/flour mix to make it thicker. I used brown gravy mix instead of the Au jou… Only 1/2 stick of the Unsalted butter, so it CAN be varied and still be fantastic!! I am just dying to make it again!! Fantastic recipe! I am a mashed potato addict and this is just WAY to tempting for me! Thanks so much! I could have written your comment! Mashed Potato Anonymous has begun!! I thickened just as you did, used brown gravy… but I DID use the whole stick of unsalted butter. It was THE best I have EVER made!! Love, love, love this recipe!! I like to put potatoes and carrots in the bottom of the crockpot. Will that work with this recipe? Hi Debbie did you try this recipe yet with potatoes and carrots? I’m making this today and I want to add potatoes and carrots and was wondering how it came out. Thanks! Will write how it tastes tonight when its done! What can be used to lower the salt? Maybe there is a Low Sodium Ranch Mix? Not sure, you might try finding it online, the peppers in the jar work great, I haven’t tried it with the fresh peppers before. Let me know how it works out for you. Joan, In a small bowl, stir together the parsley, pepper, seasoned salt, garlic powder, onion powder, and thyme. Use as a substitute for Ranch Dressing Mix. My children aren’t a fan of things that are really spicy?? How spicy is this dish? My daughter can’t do dairy, what can I substitute for butter and ranch? I always struggle with meal ideas because of her food problems. 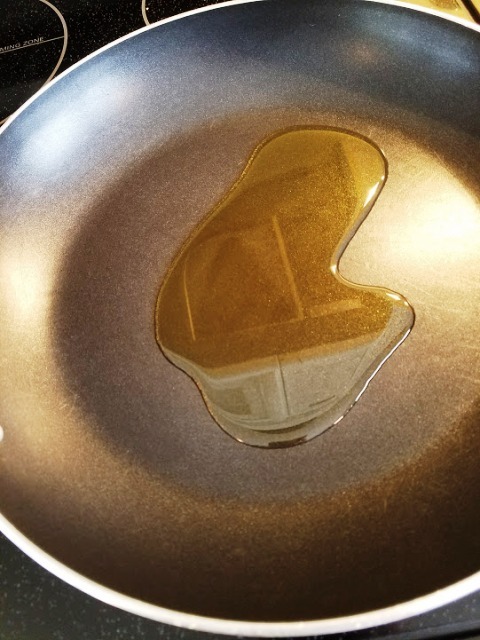 Substitute for butter could be olive oil or soy butter. In a small bowl, stir together the parsley, pepper, seasoned salt, garlic powder, onion powder, and thyme. Use as a substitute for Ranch Dressing Mix. Mine is in the crockpot now. I just couldn’t stop at 8 peppers, I used 10 and a splash of juice….will pass along how it worked out. About how long if you cook on high?? 5 hours? I have 2 1.5lb chuck roasts..do you think it will work ok if I Brown them the same way? I’m afraid the smaller cuts will turn to mush! I would cook the smaller roasts less. Is it ok to use margarine as that was all I had ? I think it is just a taste preference. So I made this again last night, tasted great but I would like to reduce salt cause if it is too salty for me only my mother in law would approve. I thought about unsalted butter but wife seem to think it would be an insignificant change. So what to substitute for either the ranch or au jus? I am real tempted to add onions as I love them. I did add garlic power to the roast before searing. Others have subbed the au jus or ranch mix with onion mix. Onions are also a wonderful addition. I always have wondered why people complain about butter…yes, the calorie count may be higher, but it’s natural (cream and salt) and is lower in other areas than so-called tub “butters” (as those are made with oils and additives). For those that are lactose-intolerant, I understand (despite the fact many that are claiming to be such don’t like milk products), but butter is better. I’m going to make this for the 1st time tonight. I have to sub the au jus with brown gravy mix, & I have sliced peperoncini instead of whole. Also going to put in a sliced onion, some baby potatoes & carrots at the bottom. I’ve been wanting to make this for a while now, can’t wait! How’d adding carrots and potatoes work? my son found this on fb I’m going to make it for him tomorrow I bought all the ingredients today and I think I bought the wrong ranch mine says dips mix the original ranch does it make a difference? I made this today the only problem is the butter and all the grease that was in the broth. I didn’t use peppers in mine. I put carrots and onions in mine. Made gravy on the side. Any idea how long to cook this in an instant pot and if you’d need to add any more liquid???? I have never used an instant pot before, but from what I have seen, they do cook quickly, if you make it, let us know how it turned out! I need to double the recipe (big family) do I keep it the same hours or does that need to change? Has anyone tried it with a frozen roast? I Want to throw it all together before i leave for work so it’s done when I get home. 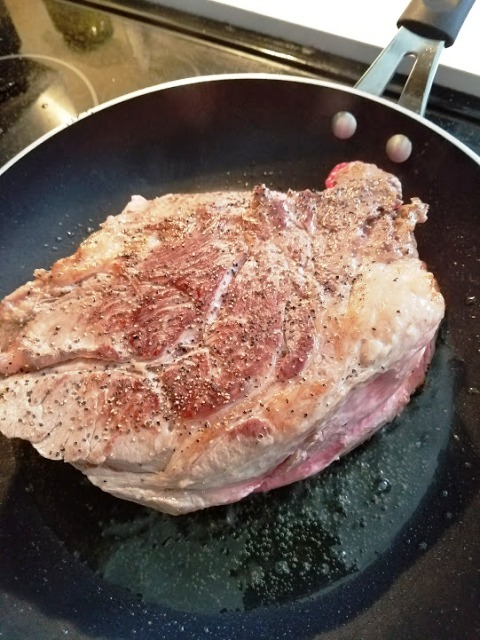 I know I cant sear the meat, but does it still turn out good? Yes, I have started with a frozen roast many times; it works fine. I also have added potatoes and carrots and they are delicious. See my comment dated 7/21/18 for a way to cut the salt. I have big packets of ranch, I buy them from work. How much is a typical packet? Looks delicious! 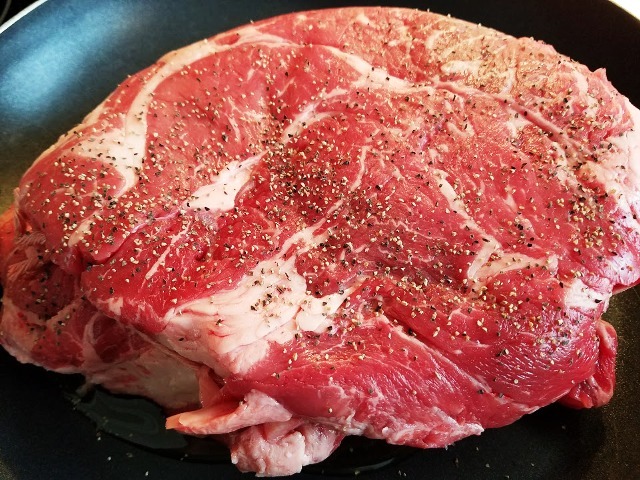 Will a Rump Roast work instead of a Chuck? A chuck roast works great, a Rump/bottom round roast works well too. I would add them on the bottom, but either way, I am sure your dinner will be so delicious! Hey just wondering if this can be made in the oven and if so what is the cooking time and temperature? 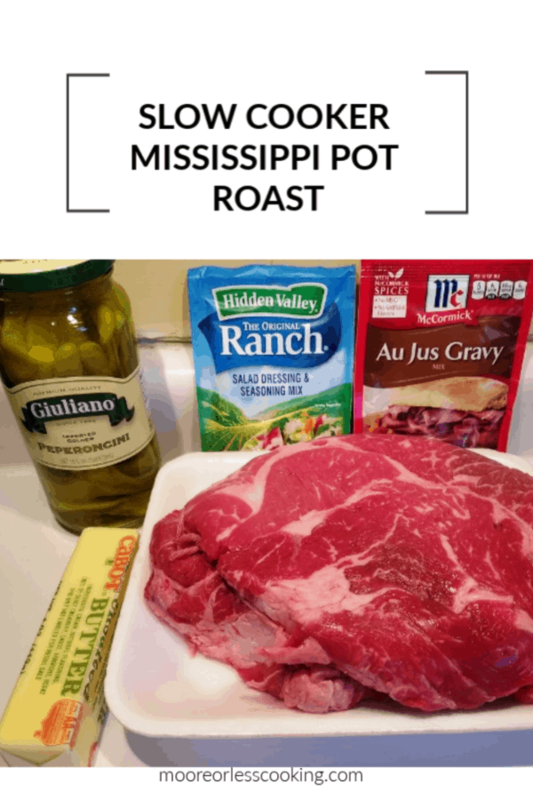 You can also cook this Mississippi Pot Roast in the oven (again, after browning or not) in a big Dutch oven wrapped in foil, then covered with the lid, for 3 – 4 hours at 350 degrees. I don’t have a slow cooker so I’m going to use my Dutch oven and cook it on low for a couple of hours. 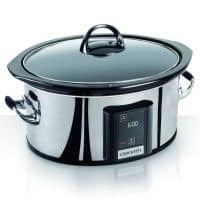 In my experience this works as good as slow cooker, though I understand the advantage of a slow cooker in that you can “set it and forget it” in the morning and have a delicious dinner when you come home at the end of the day. Oh darn, they didn’t have chuck roast so I got round roast instead. Hopefully it will do well because I know the round is leaner..
I’ve made this roast several times and still can’t get enough of it! I add wedged sweet onions, gold potatoes and baby carrots to the bottom of the crockpot then double the amount of peppers with stems removed. The ranch, au jus and butter are the same. I haven’t found the dish to be too salty but maybe the addition of the veggies helps with that. 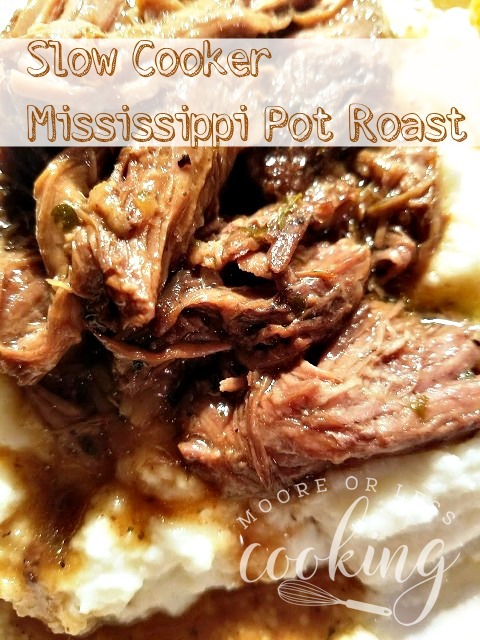 This really is the best pot roast I’ve ever had and that’s coming from a pot roast lover!